Asparagus with a little oil. 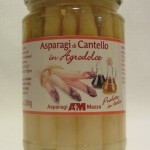 Exceptional to spread on croutons or to make the asparagus pesto asparagus pesto. 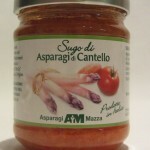 70% asparagus and 30% Italian tomato. 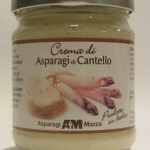 Ready to use sauce excellent for seasoning pasta or rice or To make the red cream risotto. 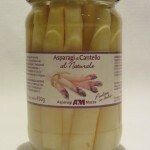 Asparagus and sugar brilliant as Accompaniment with boiled or cheeses.